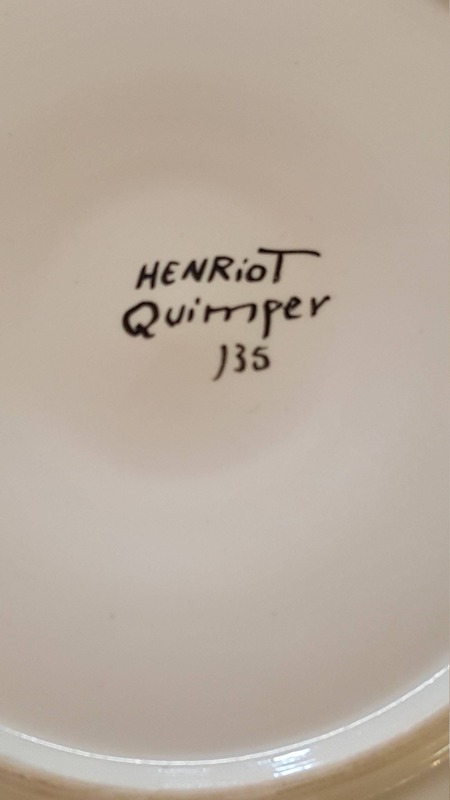 A beautiful French Oyster Plate made by Henriot Quimper of Brittany. It is marked as shown. 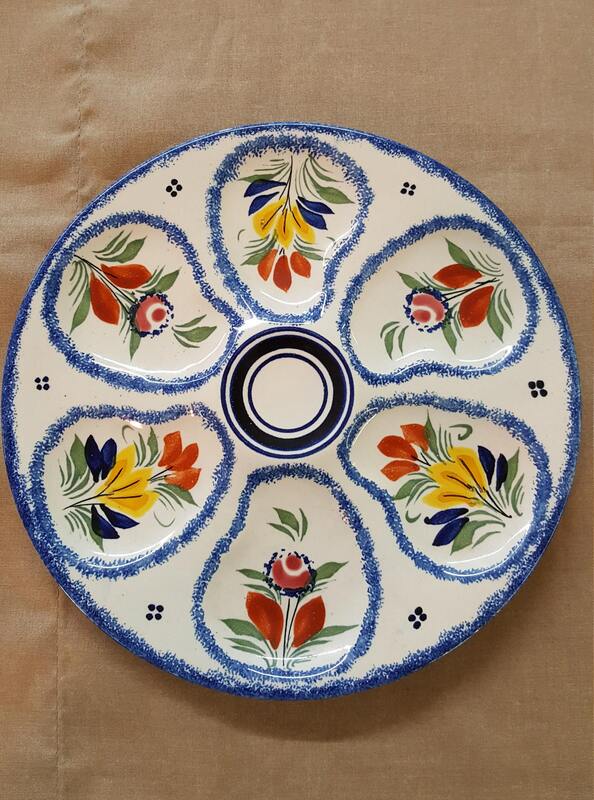 The plate measures approximately 8-3/4" in diameter. 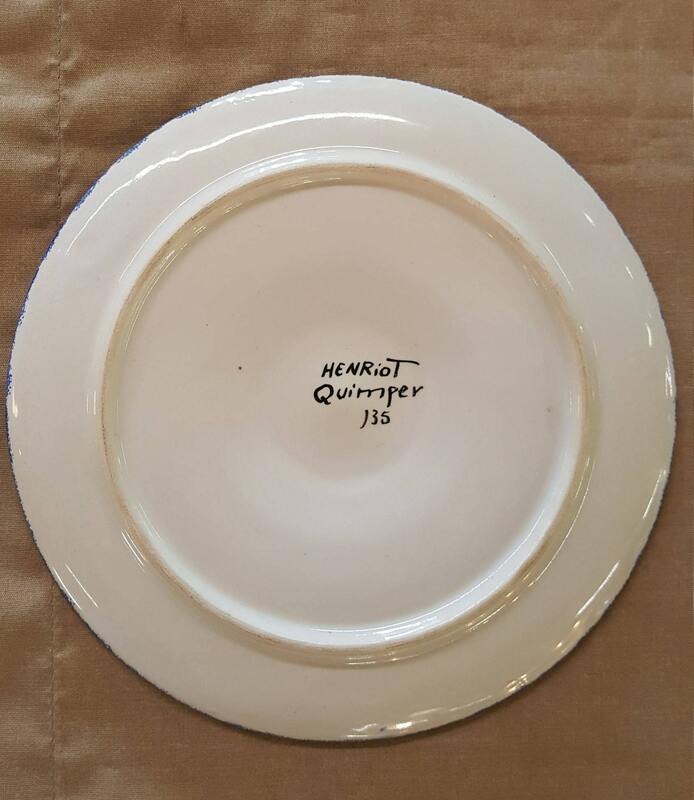 Henriot Quimper is a more than 100 year old renowned company located in Normandy of France. The proximity to the ocean created the need for oyster plates. The tradition of the company is to hand paint the patterns on their wares. This oyster plate is no exception. 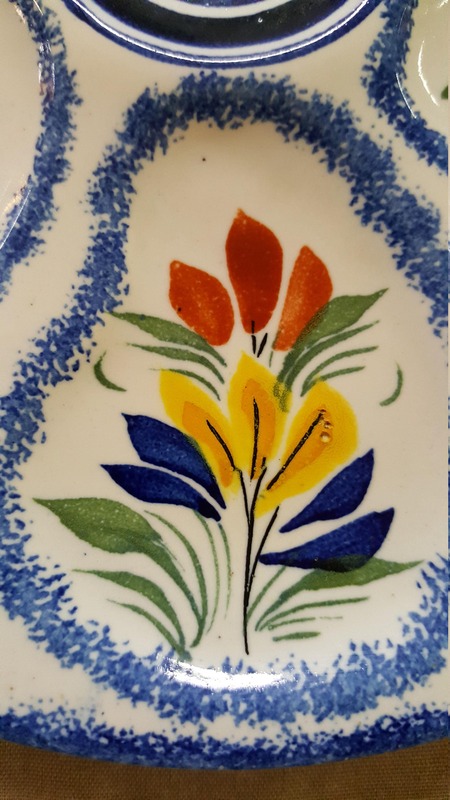 It is hand painted even if it is a little newer - it is actually made somewhere between 1950 and 1990. The good thing about being newer is that the glaze is not a lead based glaze, thus it can safely be used for consumption of oysters if one wishes to do that. 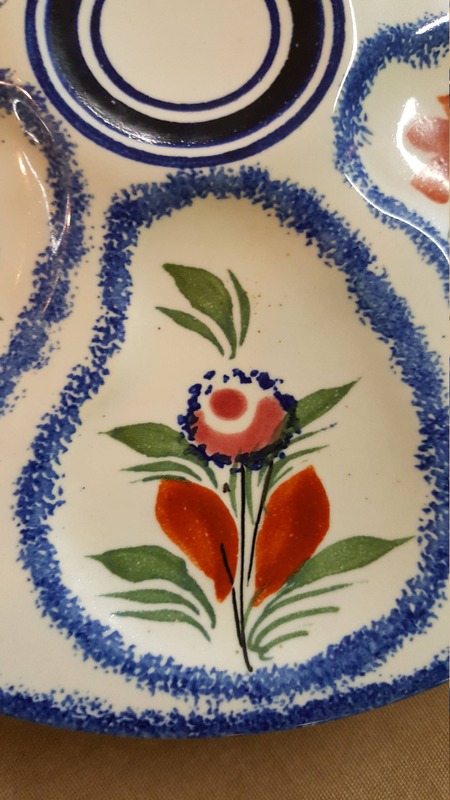 Otherwise it is a wonderful decorative plate that can be a cabinet plate or displayed on the wall. Excellent pre-owned estate condition - no chips, no cracks, no damage, no repairs. 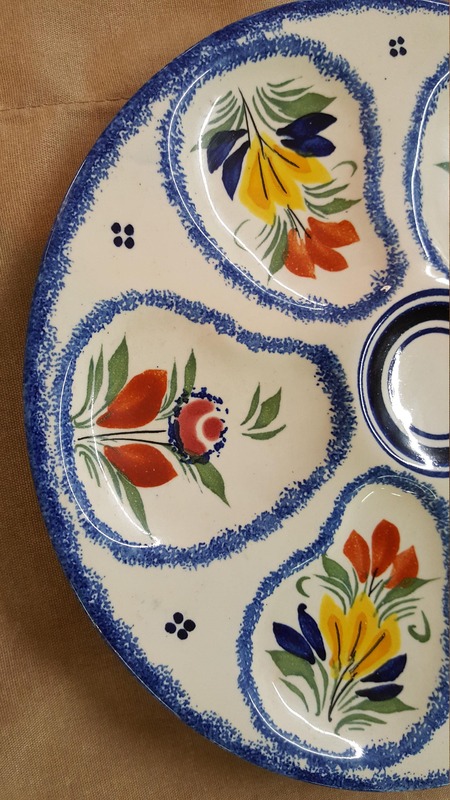 We do have 2 such plates available. When you place your order or check out, you can choose 1 or 2 plates. No additional charge for shipping of 2 plates - same shipping price as for 1. Please select the quantity of plates that you would like to receive.